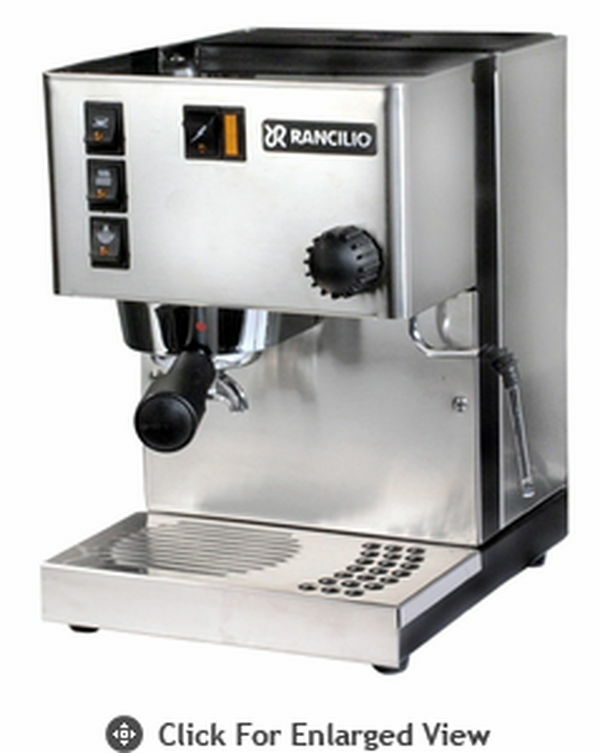 The Rancilio Epoca ST Single Group Semi Automatic Espresso Coffee Machine features an internal water tank (with an incorporated water softener) and manual dosing. A user-friendly and reliable machine, the Epoca can produce 2 cups of espresso coffee approximately every 30 seconds. 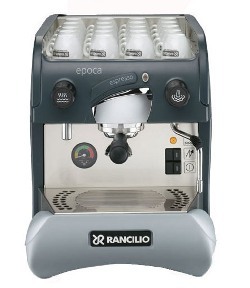 Constructed of Rancilio's patented ground-breaking materials (Hdpe and ABS), the body of the Epoca is resistant to scratches and anti-corrosive so your Epoca will keep its youthful appearance throughout its lifetime. The following features make the Epoca ST-1 a perfect fit for smaller volume establishments and coffee lovers looking for a stylish, commercial quality machine for their home. The Rancilio Rocky coffee grinder is not only an outstanding espresso grinder, but functions admirably for all other forms of coffee making as well. 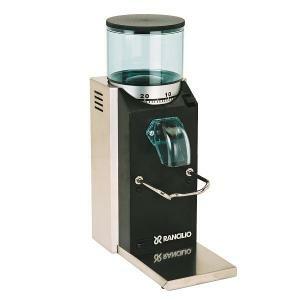 Whether you enjoy drip, perc, press pot, or espresso, the Rancilio Rocky will serve your needs for years to come. A perfect match for the Rancilio Silvia espresso machine, the Rocky features commercial quality design and construction, and will produce perfectly consistent, fine grinds. The doser model, featured here, allows the user to start the grinder and then concentrate on other tasks as the ground coffee is contained in the doser. Place a portafilter, paper coffee filter, or appropriate receptacle under the doser, flick the lever, and coffee is dispensed. The doser is handy when making many consecutive espresso drinks or when grinding for a drip machine. The fork under the doser is designed to hold the portafilter. If you find it is in your way you can easily remove it using just a screwdriver. 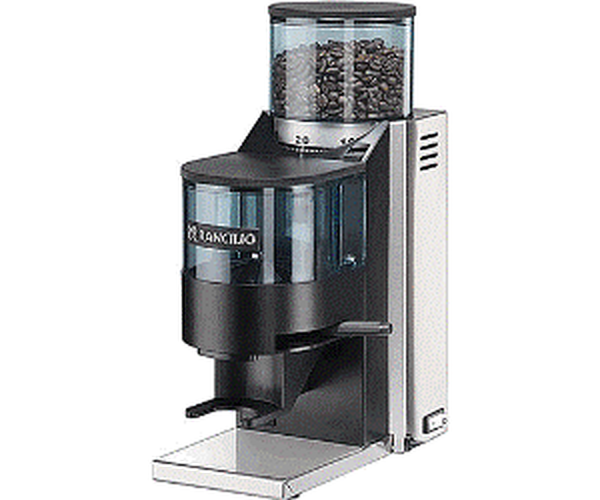 With over fifty steps to its grind adjustment, it is easy to find the grind that best suits your taste. The numbered calibration also makes it easy to switch from espresso to drip and back to espresso again. Brushed stainless steel back panel and base makes it a perfect match to the Rancilio Silvia espresso machine. Top quality hardened steel 50 mm flat burrs. Commercial quality 166 watt motor. Powerful, quiet, and made to last. 10 oz. bean hopper, tinted to protect beans from light, with lid. Sturdy portafilter fork provides resting place for portafilter while dosing (easily removed with a screwdriver if you prefer to dose into a container). 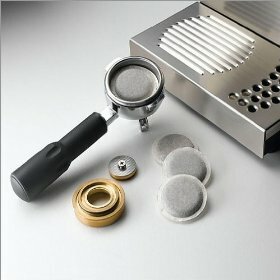 The doserless model, featured here, allows the user to easily grind directly into a portafilter, alleviating the cleaning chores associated with a doser. Place you portafilter under the chute and grind right into the basket. The heavy-wire support fork under the chute is designed to hold the portafilter while grinding. You can also place an appropriate receptacle under the chute to receive the ground coffee for other coffee-making methods. Top-quality hardened steel 50 mm flat burrs. 10 oz. bean hopper, with lid, tinted to protect the whole coffee beans from light. Sturdy support provides a resting place for portafilter while grinding. 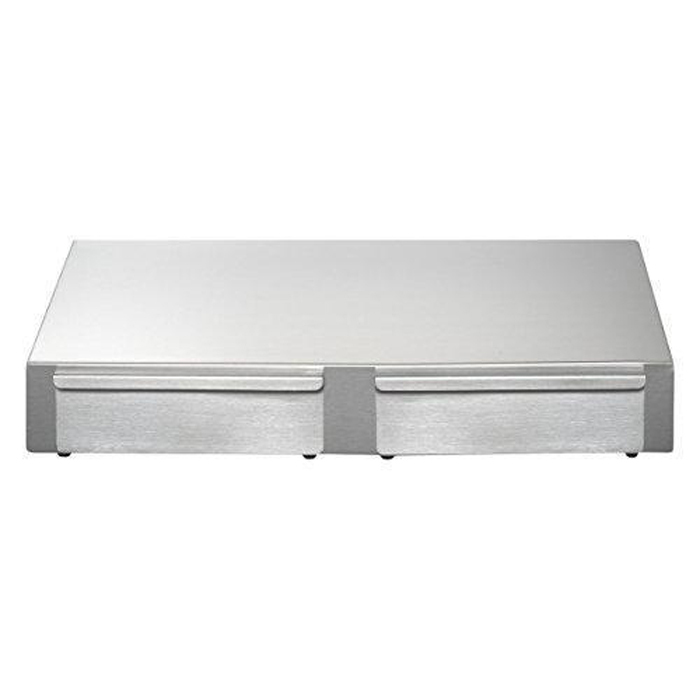 Rancilio's stainless steel base is not just a great way to show off your Rancilio Silvia and Rocky grinder, it adds functional drawers. One can be used for storage of small items such as a brewhead cleaning brush, spare filters baskets and other tools. The second drawer is a convenient knock box, the proximity allows you to knock out the used coffee from the portafilter without dripping coffee on your counter trying to get to a separate knock box, all the while saving valuable counter space. Large enough for both the Rancilio Silvia espresso machine and the Rancilio Rocky espresso grinder.